These ANTI STATIC WIPERS 8 x 11 INCH are ideal for use in labs, cleanrooms, and for electronic and other applications where static control is critical. ANTI STATIC WIPERS 8 X 11 INCH offer twice the coverage of conventional wipes. Excellent for walls, print surfaces, tools and equipment. 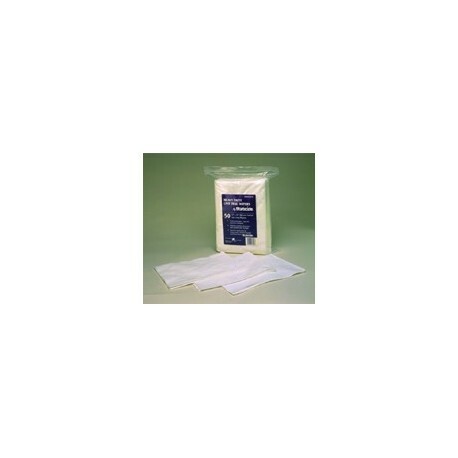 ANTI STATIC WIPERS 8 X 11 INCH are individually packaged 8" x 11" wipes are made with a specially blended solution of pure Staticide concentrate, deionized water, and isopropyl alcohol to provide one-step cleaning and static control. ANTI STATIC WIPERS 8 X 11 INCH are long-lasting, non-toxic and biodegradable. Dispenser box of 50 individually foil wrapped packages.